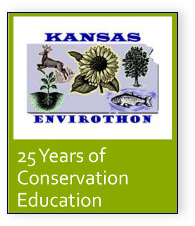 The Kansas Envirothon is an outdoor, environmental high school competition where students learn and are tested on soils, forestry, wildlife, aquatics, a current issue and an oral presentation. The current issue for the 2018 competition is: “Western Rangeland Management: Balancing Diverse Views. 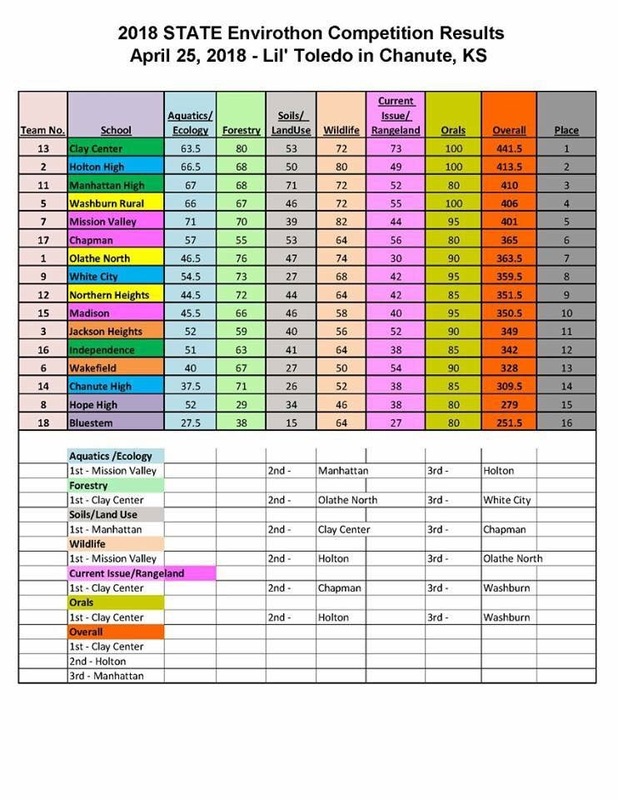 Conservation Districts - Register Your Teams By March 1, 2019. Download Letter of Intent HERE. 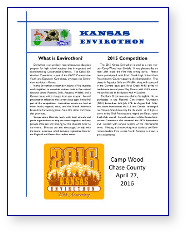 or mailed to 135 E 8th Street., Junction City, KS 66441; or brought to the regional competition. Team Advisors - Team Release Forms for all participants must be completed prior to regional competition. Team Certification Forms must be submitted by noon of the Friday following Notice. 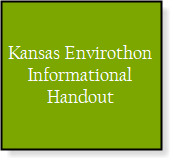 In 2018, all teams are required to compete in oral presentations at the Kansas Envirothon competition. The oral presentation will be for ten minutes with a total of 100 points possible. All team members are required to participate in the presentation. For more information, visit the Oral Presentation resource page HERE. Chinese team from a Shanxi Normal University-affiliated high school in Xi'an represented China at the 2016 North American Envirothon. This year, Canadian and U.S. students competing in the North American Envirothon faced a Chinese team for the first time. A team from a high school affiliated with Shanxi Normal University in Xi'an won its regional competition and served as China’s representative at the 2016 North America Envirothon. The Chinese team came to Canada to learn more about the Envirothon program, with hopes of growing the program in China. The team participated in the competition with the teams from Canada and U.S. The following are testimonials from three of the Chinese students.